Who isn't in awe of magnificent displays of weather and beautiful cloud formations? It's just another part of nature showing off it's beauty on Earth. Enjoy. 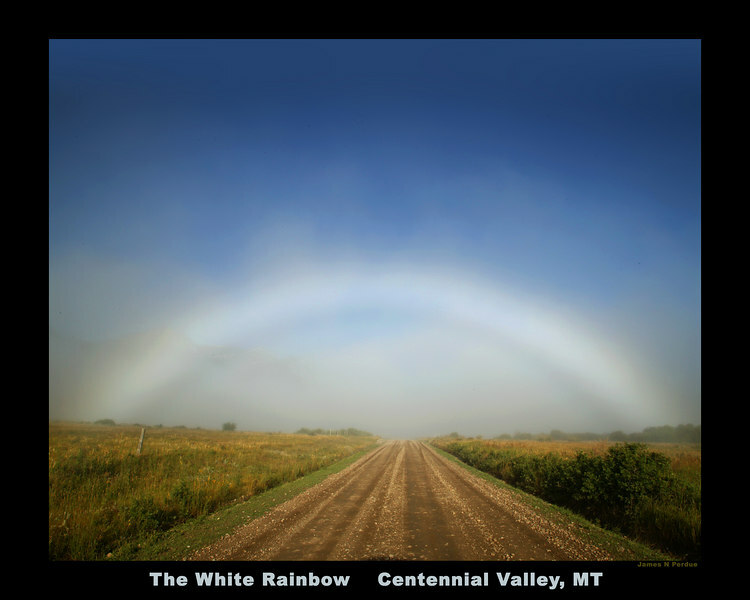 Great example of a White Rainbow, or Fogbow in Centennial Valley, Montana, August 5, 2006. This is caused by sunlight at just the right angle hitting microscopic fog droplets, too small to create a color prism (and thus a real rainbow). It was really impressive walking down this road and see it hang in for a long time.